Standing in Christine Wise’s fabulously organised garage and chatting about her Moto Morini is inspiring. Owned from new, it’s commuted in snow, won the National Rally, been written off and even raced at the TT. It’s an amazing story. Just as amazing is that Christine’s as passionate for her pretty V-twin today, after 40 years, as when it was new. It’s what V-twins do to you. Other engine layouts hold appeal, and I’m as fond of punchy singles and wailing triples as anyone. Yet nothing stirs emotion and forms bonds like a V-twin. 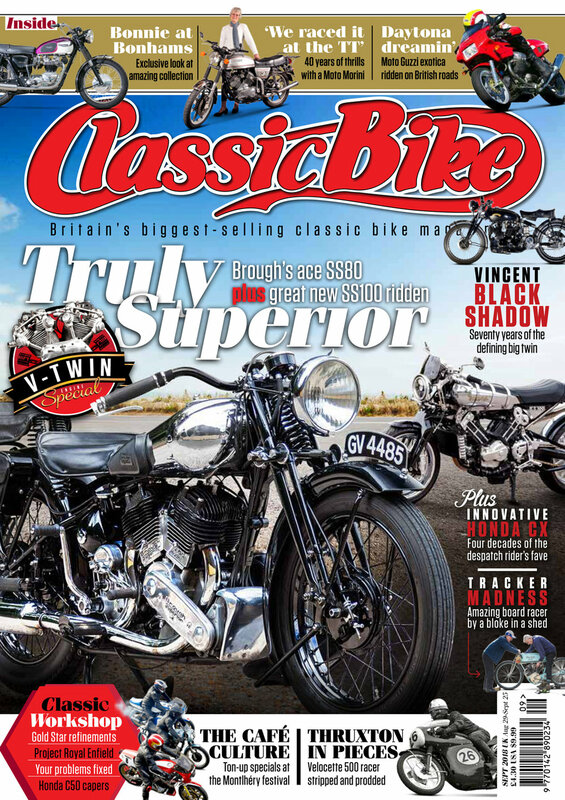 This special issue celebrates the charismatic motor that’s forever been at the heart of motorcycling; from the raw craziness of a board track racer, through the sheer class of Brough Superior (see below) and landmark Vincent Black Shadow, to Honda’s innovative CX500. 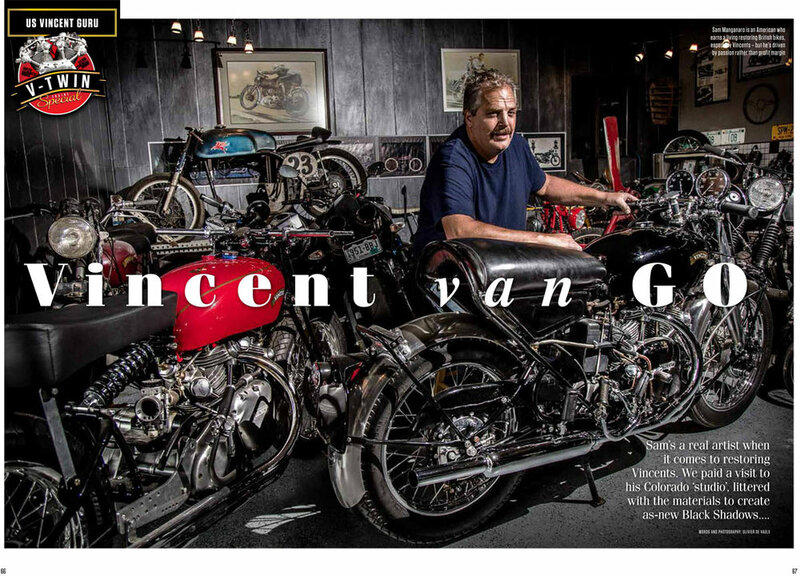 We’ve got the story of the giant-slaying Moto Guzzi racers built by a dentist, and I got to ride the exotic road version. It’s a machine I’ve always admired from a distance so I took rose-tinted specs, aware of that ‘never meet heroes’ thing. I needn’t have worried – it was glorious. It’s a month of rumbling exhausts, fabulous engineering and, crucially, pure riding joy. Look at the child-like glee on the face of our Gez. How doss a new Brought Superior SS100 compare to an original 1936 SS80? The track success of Dr John led directly to the Daytona 1000 - the sporties and most exotic Moto Guzzi road bike ever produced.